Crown Equipment Corp., an industrial-truck dealership in Woburn, Mass., has been cited by OSHA in the injury of an employee hit by a split rim tire when the tire exploded during servicing. Develop and implement a training program for employees who service rim wheels to inform them of the hazards associated with the wheels, and safety procedures necessary for this task. 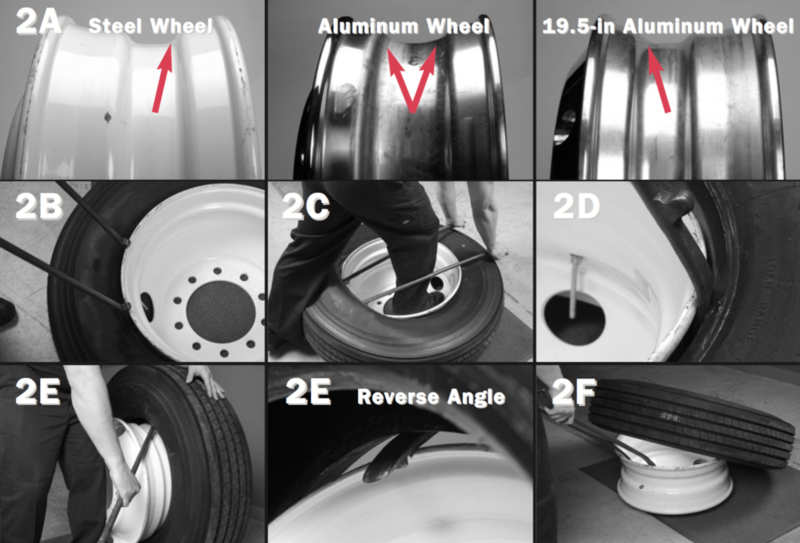 Evaluate each employee's ability to service rim wheels safely. Ensure that each employee demonstrated the ability to service rim wheels safely. Require employees to use or provide an airline assembly with a clip-on chuck and a sufficient length of hose that would allow employees to stand outside the rim's trajectory should it explode. Have manuals with instructions for servicing wheel rims available in the service area. See OSHA's document, Serving Multipiece & Single-Piece Rim Wheels, below. Also see "Tire Safety Protects Life, Limbs, and Equipment."